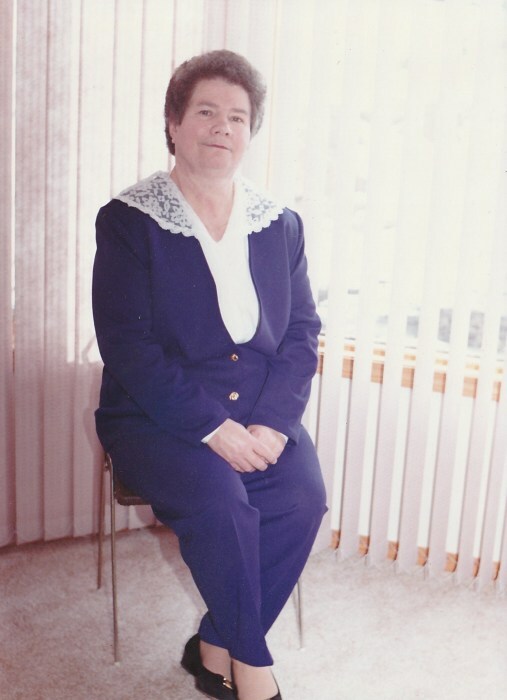 Obituary for Mary Stefanyk | Mission View Funeral Chapel Ltd.
On Monday, January 14, 2019 Mary Stefanyk of Edmonton, formerly of Lac La Biche, AB passed away at the age of 85 years. Mary is survived by her children Doug Stefanyk (Richard Isherwood), Don (Carol) Stefanyk, Sharon Stefanyk (Jules Germain), grandchildren Christopher Stefanyk, David Stefanyk, Gregory (Priyanka) Germain, Stephanie Stefanyk, Jessica (Brayden) Hoffart, brothers John (Mary) Yakoweshen, George (Georgina) Yakoweshen, sister in law Gay Yakoweshen, numerous nieces, nephews, cousins & friends. Mary is predeceased by her husband Andrew Stefanyk, parents William & Rose Yakoweshen, brother Eli Yakoweshen, numerous brothers & sisters in law. Mass of Christian Burial was Saturday, January 19, 2019 at 1:00 pm at St. Catherine Catholic Church in Lac La Biche, AB with Fr. Aureus Manjares officiating. Interment followed in the Willow Park Cemetery, Lac La Biche, AB. Pallbearers were Gregory Germain, Brayden Hoffart, Jessica Hoffart, Christopher Stefanyk, David Stefanyk, Stephanie Stefanyk. In lieu of flowers donations to Capital Care Dickinsfield “Horticultural Program” 14225 – 94St. Edmonton, AB T5E 6C6 would be appreciated.